KAMPALA – The projections of the 2019/2020 National Budget indicate that the Judiciary is set to grapple with unfunded priorities to a tune of UGX365.6b after the request to have the funds provided was rejected by the Treasury. The details of the unfunded priorities were disclosed during a meeting held between the Judiciary officials and MPs on the Legal and Parliamentary Affairs Committee who had convened to discuss the institution’s Ministerial policy statement. According to the breakdown, among the unfunded priorities is the payment of judicial officers under Civil Service Pay Chief Magistrate UGX9.8b, while magistrate Grade one is UGX3.5b amount totaling to UGX13.54b. The phased recruitment of 100 judicial officers that would cost UGX91b is also unfunded, while the innovative approaches in case management band provision of security is UGX38b and gratuity UGX2.26b. The procurement of transport equipment UGX61.2b, office equipment UGX69b, construction of other courts UGX18.5b, as well as the construction of countrywide justice centres UGX72.05b bringing the total to UGX365.6b. 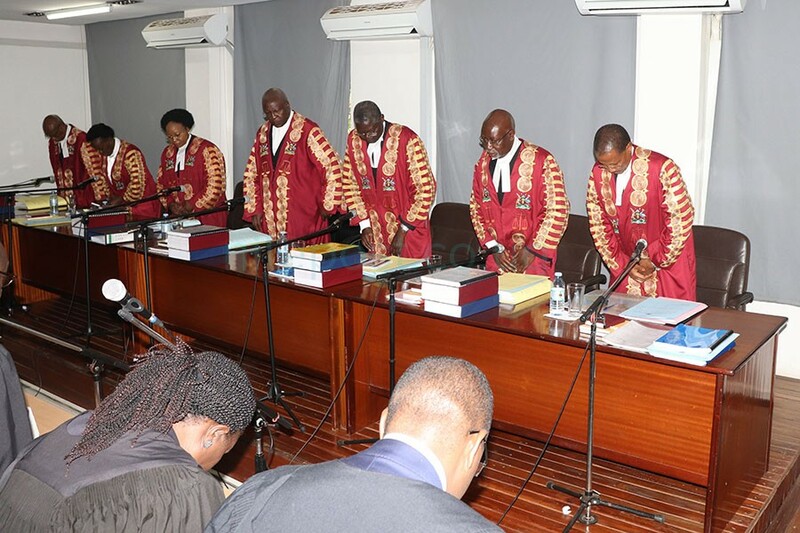 It was also revealed that taxpayers parted with UGX300m to cater for the Supreme Court, Constitutional petition appeal numbers 2, 3 and 4 of 2018 in which a section of MPs and public interest Ugandans sued Parliament and Government over the handling of the Constitutional amendment that saw the scrapping off of the presidential age limit. In their 2018/2019 budget performance, the Judiciary had planned to handle a total of 17,338 cases of which 4,070 civil, 2,984 criminal, 2,516 land, 2,397 commercial 250 anti-corruption 1,560 execution and bailiffs, 3561 family. On the other hand, only 12,571 cases were disposed of, of which; 3,119 civil cases, 246 Appeals, 3,306 criminal cases, 718 Appeals and 2588 main suits, 2,607 Land cases, 892 commercials cases, 172 Anti-corruption, 953 Execution and Bailiffs 1,522 Family cases. At the Magistrate Courts the Judiciary’s planned Output was 92,400 cases to be disposed of, of which 18,900 cases at Grade 1 Magistrates Court, 64,500 cases at Grade 1 Courts and 9000 cases at Grade 11 courts. In terms of what was achieved, a total of 62,268 cases disposed of which 45,299 cases at Chief Magistrate Courts, 15,339 cases at Grade 1 courts and 1,630 cases at Grade 11 courts with the institution blaming the low disposal rate on the limited facilitation for magistrates grade 1 in terms of court space, transport equipment and court recording equipment. In the 2019/2020 budget, Judiciary has been allocated UGX151.2b of which UGX34.06b is for wages, UGX93.03b is for non-wage of which UGX12b has been allocated for arrears compared to UGX128.09b bringing the variance of UGX23.07b.